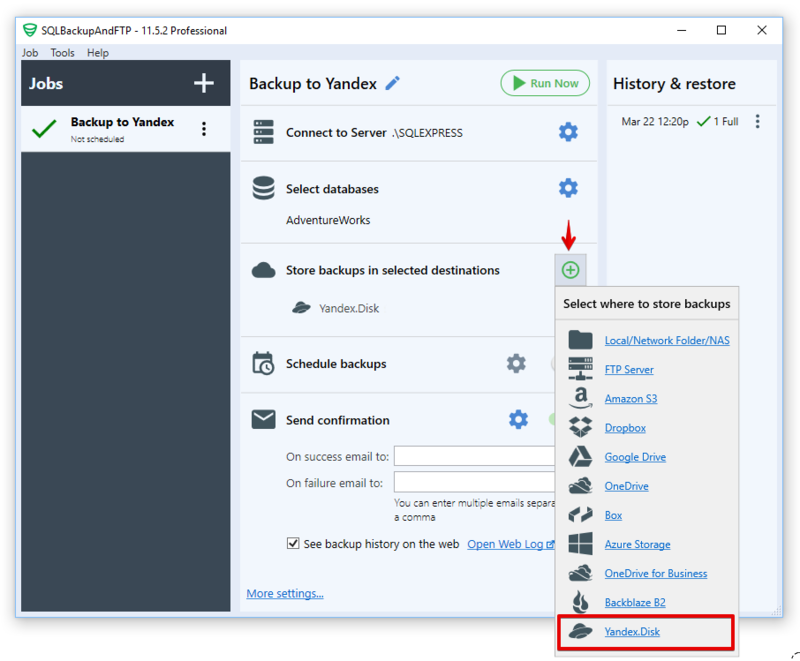 Yandex.Disk is a cloud storage from Yandex, the largest technology company in Russia (with 52% market share as a search engine). 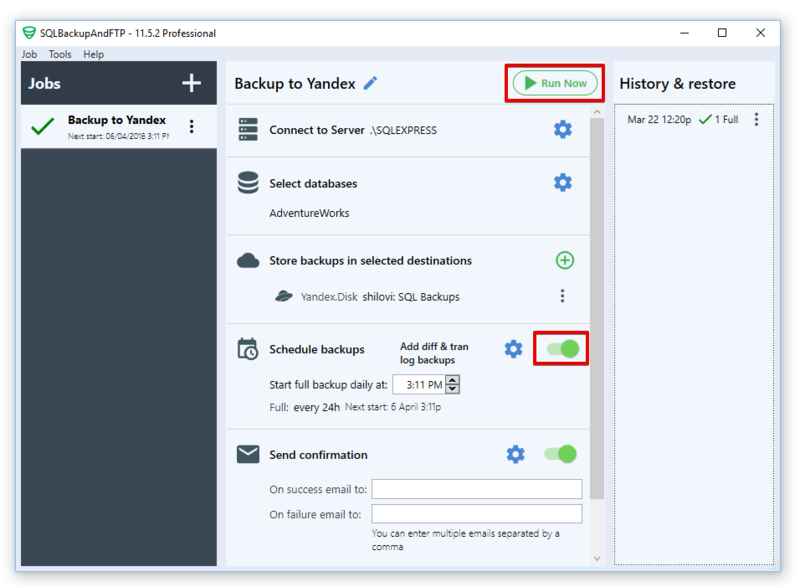 Yandex.Disk is a good alternative to Google Drive and its features and pricing policy are very similar to Google. 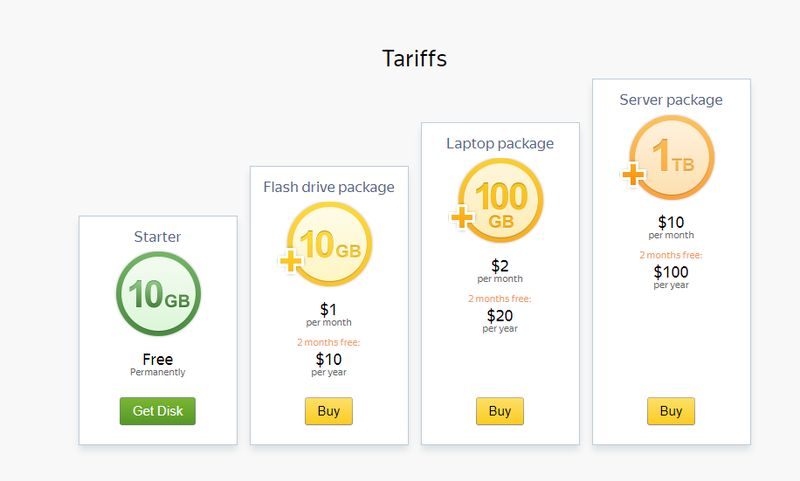 So just for $20 per year, you can get 100 GB for your database backups and if you need more it will cost you $100/year for 1TB. 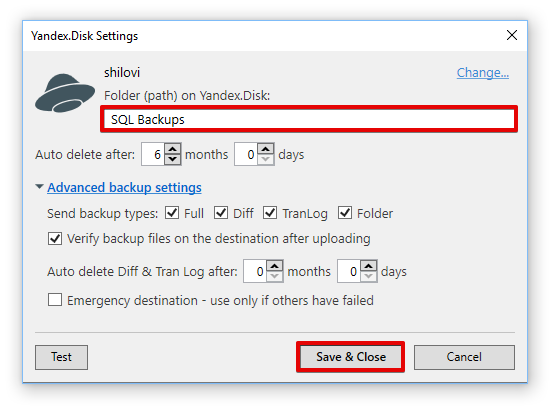 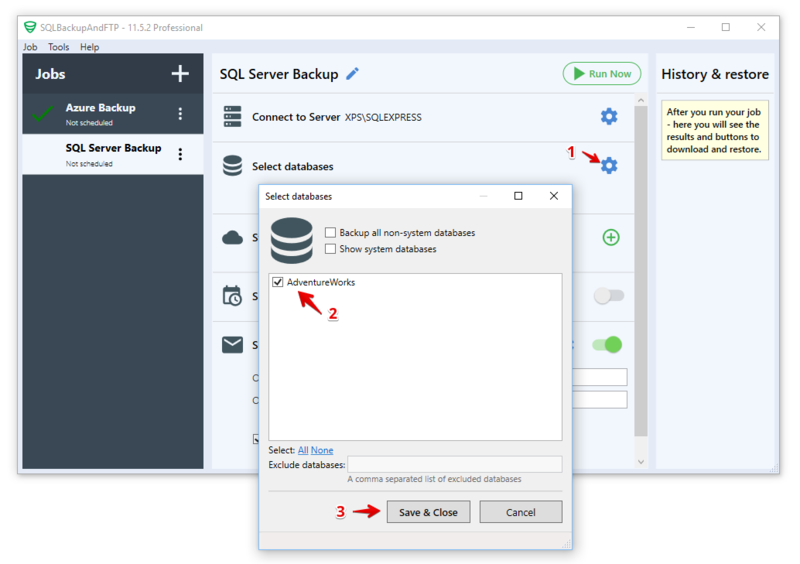 The good thing is that unlike Google Drive, Yandex.Disk is available even for free users of SqlBackupAndFtp and this makes it attractive as a relatively cheap storage for SQL Server backups. 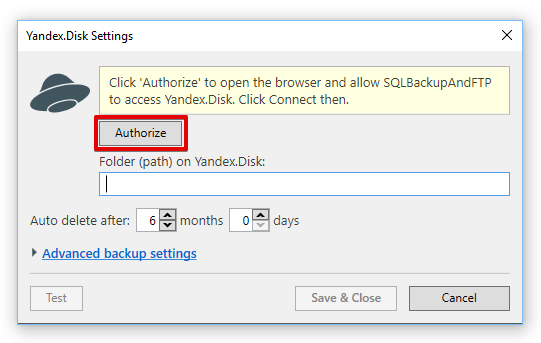 After you finished with Yandex.Disk settings click “Save & Close”. 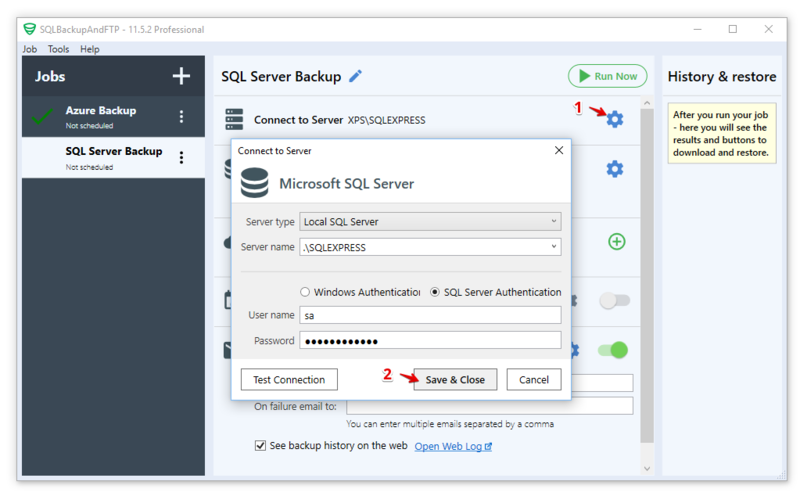 Optionally, you can also setup email confirmations on successful/failed backups.